The new C300 Mark II features a wide range of manual controls, simple automatic functions that allow you to focus on the action. Improved auto focus compared to previous model. 4 channels of audio to 16/24 bits. Low rolling shutter distortion, Dual Pixel CMOS AF technology and sensitivities up to 102,400. The EOS C300 Mark II offers a wide range of color palettes to fit your workflow and final output media, including BT.2020, Canon Cinema Gamut and DCI-P3. Internal 4K recording and 4K RAW external simultaneous, as well as significant improvements in the dynamic range compared to its predecessor the c300. 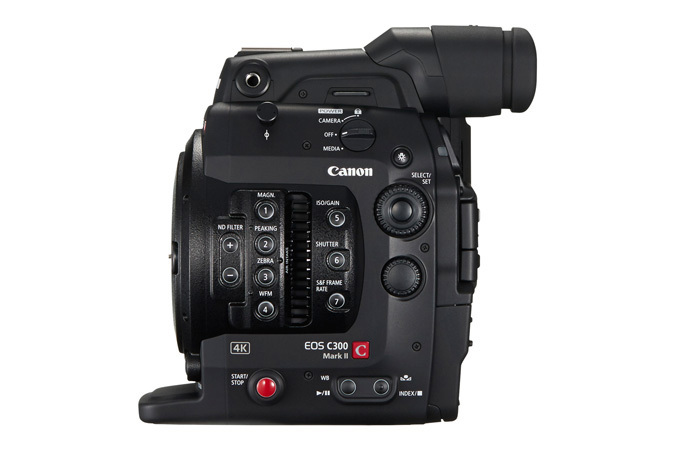 The Canon EOS C300 MKII is a digital cinema camera that aims for documentary and indie cinema productions that allows for both manual and automatic control. It is a lightweight and small camera weighting less than 3Kg (over 2.6Kg) with a solid and durable magnesium alloy body. It is also splash and dust resistant thanks to its sealed structure and it features a silent cooling system. This new mkII model offers a more durable handle that bears more easily the weight of heavy cinema lenses. The EOS C300 MKII features the Dual DIGIC DV5 processor that allows for faster processing and records 4K with high data transfer rates. Its sensor offers great performance in low light situations, with a sensibility that spans 100 to 102.400 ISO with its native level set at 800 ISO. 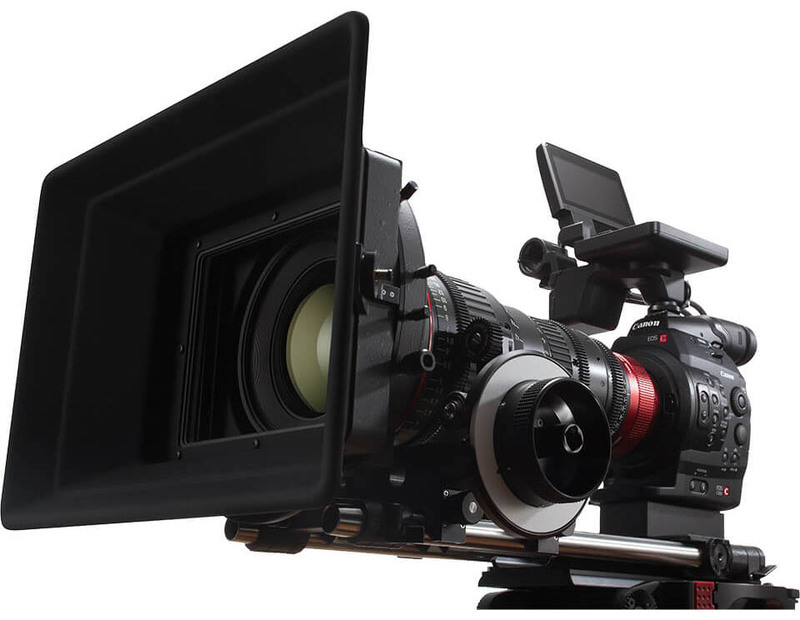 It is a Super35 8.85Mpx CMOS sensor (24.4x13.5mm) that provides with 15 stops of dynamic range and is able to record 4K@30p (4096x2160), 2K@120 or HD, using for the latter a downsampling technology that produces crisper and sharper images at full HD. The EOS C300 MKII offers a wide range of color gammuts to improve production’s workflows (BT.2020, Canon Cinema Gamut, DCI-P3,...). It does also offer dual 4K recording –external and internal- and logarithmic recording using S-Log, S-Log2 and S-Log3. This wide dynamic range makes the C300 MkII able to use the new REC2020 color space. 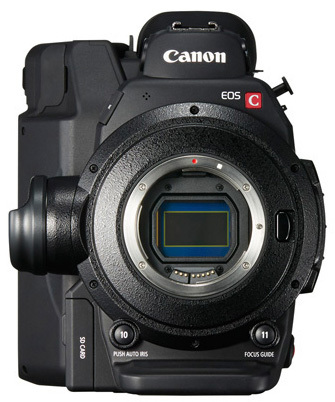 The C300 MKII features 2 ND filters wheels: the first one has 6 different presets (OFF, 2, 4, 6, 8 y 10 stops) while the second one adds stronger NDs. The camera features 2 3G-SDI outputs, timecode port and Genlock input. Regarding sound, it packs a mic input, an internal mic and two Phantom XLR ports (+48V) for a total of 4 mixable channels. It is also compatible with lineal PCM 24bits/48kHz audio. Besides, it comes with the new EVF-V70 that provides with a superior image quality thanks to its fullHD OLED screen. This viewfinder features focus magnification, zebra function and 4 custom setting buttoms including a joystick to move the focus magnification zoom area.